I'm so glad you found your way here! Today kicks off the Summer Blog Hop with a Twist with Roben-Marie and her Design Team. We have the usual art inspiration and giveaways, but the twist is that there is also a SALE! More on the giveaway and the sale in a bit. First let's get started on this fun little stitched pocket journal project. 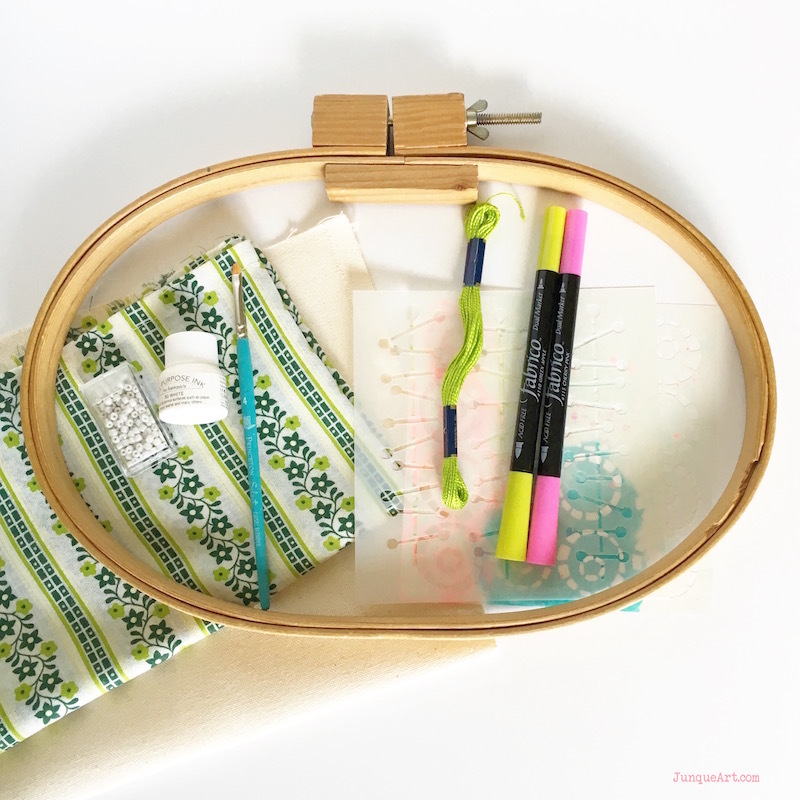 With just a few supplies it's a simple little project that you can stitch up while watching your favorite Netflix show. It makes a great notebook to throw in your purse, pocket, or give as a gift. The start of the new year is always a time to try to get organized. Notice I said try! I'm still trying. My organization tends to fall off the rails when I get distracted by making things cute. In my attempt to organize my office space I ended up at Ikea buying a new cabinet. That led me to doing a mini makeover to the cabinet with some personalized knobs. It was super simple using art supplies I had on hand and I love how they turned out. Definitely reflects my quirky imperfect style! It's Team Tuesday at StencilGirl today and I'm on their blog showing you how to make this cute as can be hand stitched kitchen towel for the Holidays. The possibilities are endless with stencils and thread. So join me here to see a step by step tutorial. I am so excited to announce that I am part of the 2018 Roben-Marie Smith Design Team! Roben-Marie has been an inspiration of mine for years and I am truly honored and tickled pink to be a part of her team. I'm still pinching myself to make sure I'm not just dreaming. The wonderful team she has picked has some amazing fun things planned for the new year. I hope you will join us! Welcome to the Holiday Hop with the StencilGirl Creative Team! I am so glad you found your way here! It's already November and you know what that means... time to start thinking about and planning for the holidays. I love decorating for the holidays. I also like to add my own creative touches to my decorations. Welcome to the Blog Hop with StencilGirl and Imagine Crafts! I am so excited you are here and I hope you enjoy creating these cute tags along with me. Be sure and read all the way to the end of the post for links to more fun projects and details on the how to enter the Giveaway. Summer is here and so are new Mermaid Stencils by StencilGirl. Thank you so much for stopping by and checking out all the fun projects on this StencilGirl Creative Team Mermaid Madness Blog Hop! Creating A Junk Journal with StencilGirl and Canvas Corp! This month StencilGirl Products is collaborating with Canvas Corp Brands to show you unique ways to use StencilGirl stencils with a variety of Canvas Corp Brands surfaces and Tattered Angels Paint Kits! Be sure to check out the details at the end of this post on how you can win a wonderful prize package worth over $50 in goodies from StencilGirl Products and Canvas Corp Brands! Spring is in the air and to celebrate I'm over at StencilGirl today showing how I made this easy spring canvas. Come on over and join the fun! Let's Celebrate Valentine's With a Workshop Sale! 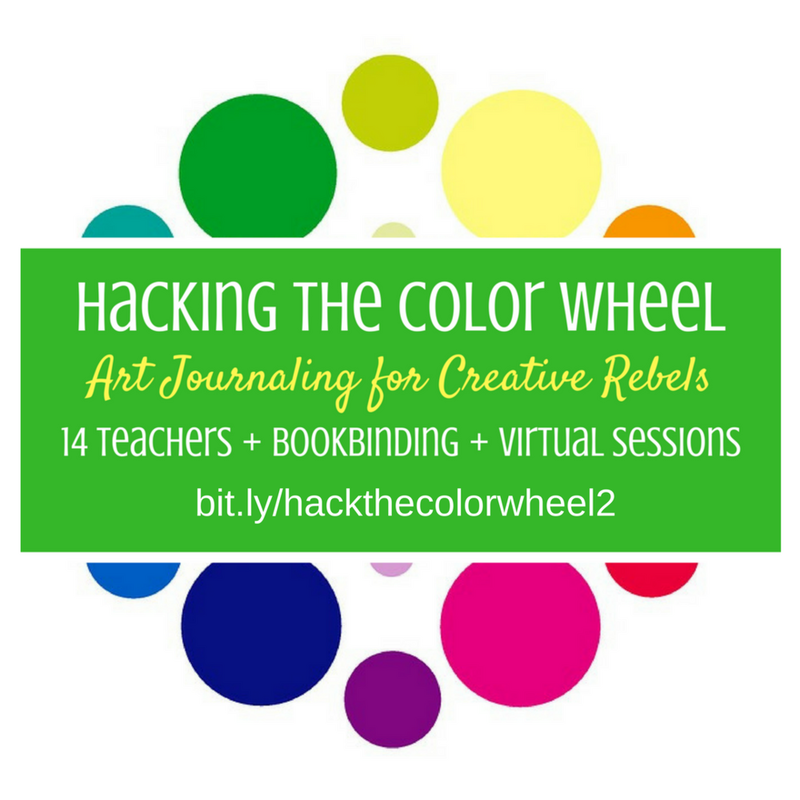 This fun mixed media workshop is a great way to create a unique cover for your art journals, traveler's notebooks, planners, and more! 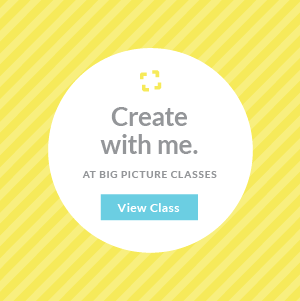 Come create with me with 27 detailed bite sized instructional videos. You can check out all the details HERE along with a preview video of the class. The Holiday season is here and I can't believe it is almost 2017! I think it's true what they say... "time flies when you get older". This year has definitely flown by so I'm looking ahead to the new year with creative anticipation. My goal is to make more time for my art in 2017. More time to just play and explore! Sometimes listening, really listening to what the slight whispers are trying to tell you is hard until they become more than whispers. Trying to ease back into my art by listening to the whispers. Come join me over at the StencilGirl blog today to see how I created this quick and easy art journal page by combining multiple stencils. See you there! I wish I could wear flowers in my hair, don't you? 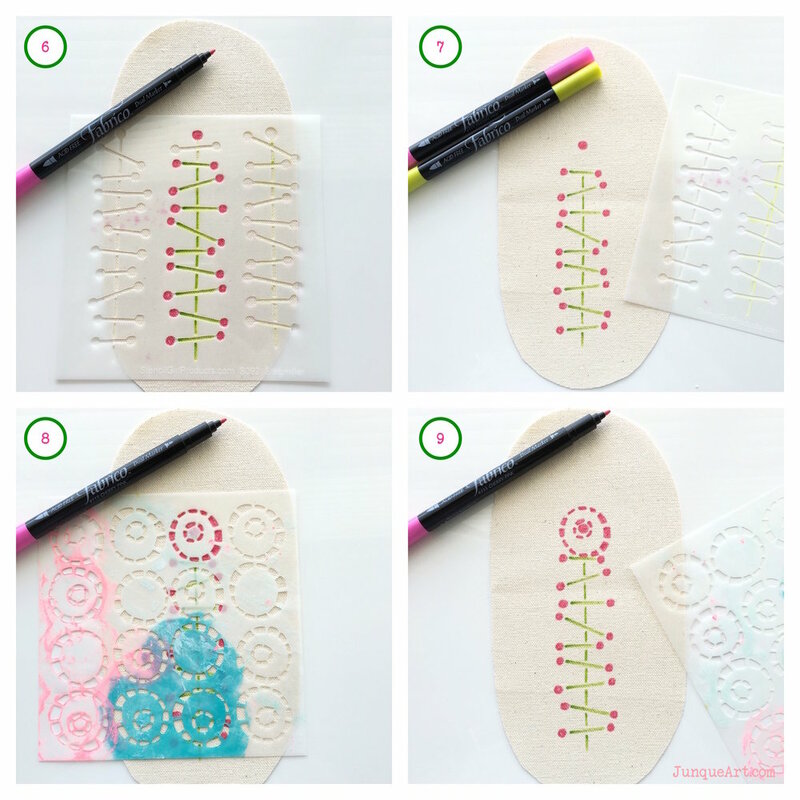 Hop on over to StencilGirl for Creative Team Tuesday today. I can't wait to show you how to create this fun and playful art journal page using two stencils. I hope you have fun playing with stencils! Welcome to the Christmas in July Blog Hop with StencilGirl and Imagine Crafts. I'm so excited you are here! It is a little hard to think about Christmas when it's almost 100 degrees outside, but the Holidays will be here before you know it. So why not stay out of the heat and have fun making some Christmas crafts. I am a bit of a vintage and thrift store junkie, and I love combining old and new in my decorating and my art. Today I'm going to show you how to make this charming vintage style Christmas Tree wall decor. When I go thrift store shopping I have a few things that I always look for. One of those being vintage embroidery hoops. There is just something heartwarming and comforting about these simple little wooden hoops that just makes me smile. I think the memories of my grandmother and I working on stitching projects together has something to do with the attachment. 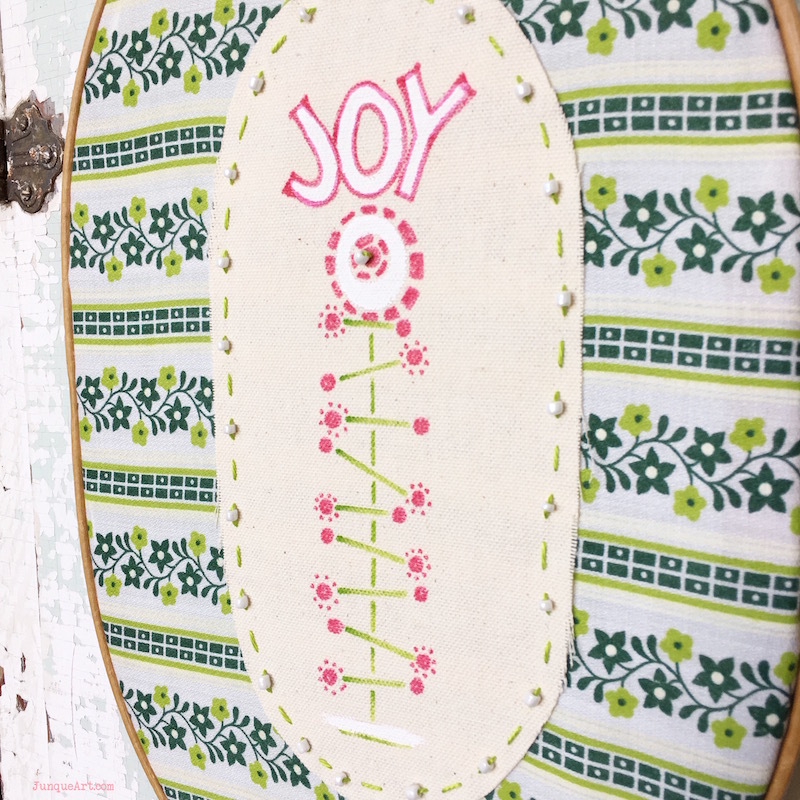 For this project I decided to use this awesome oval embroidery hoop that I had in my stash of hoops. Embroidery hoops make great frames that you can change out for the seasons. This is a simple and quick project that will add handmade charm to your Christmas decor. Embroidery Hoop - Can be vintage or new. Make sure it's big enough for your stencil design. Step 1: Cut the background fabric to be about 1.5"- 2" larger than your hoop. You can leave it square for now. We will trim it at the end. Step 2: Trace the inside of the hoop onto the canvas fabric with a pen or pencil. Step 3: Draw hash marks 1"-2" inside the circle or oval that you just traced to form a smaller circle or oval. This is going to be the smaller piece of canvas fabric that you will do your stencil art on. I measured in 2" because I wanted 2" of the vintage fabric to show. You can adjust your measurements to your liking. Step 4: Cut along the hash marks. Step 5: Using the Green Apple Marker from the Gemstone Set and the Antennas Stencil color in the "trunk" and "limbs". Leave off the top ones as shown.Step 6: Color in the "ornaments" with the Cherry Pink Marker from the Gemstone Set. Skip the top branch but color in the very top one. Step 7: Your tree should look like this. Step 8: Using the Broken Circles Stencil over lay one of the broken circles over the top dot that you colored in Step 6. Using the Cherry Pink Marker color in the broken circle. Step 9: Your tree should look like this. Step 10: Add details around every other "ornament" with the Cherry Pink Marker. Step 11:Paint inside the Broken Circle with All Purpose Ink in White. Step 12: Paint under the tree with the white ink. Step 13: Paint the word "Joy" with the All Purpose Ink in White. Step 14: Outline the word "Joy" with the Cherry Pink Marker. The canvas piece is all finished. Let's move to the next steps. Step 15: Center your canvas piece in the middle of the hoop. Tack down to background fabric with a glue stick to hold in place. Step 16: Thread an embroidery needle with embroidery floss to match your project. Step 17: Straight stitch around the edge of the canvas piece. Add a seed bead to every other stitch. The stitches don't have to perfect. We are going for a handmade vintage look which mean "perfectly imperfect". Step 18: Add a seed bead to the top of the tree . Step 19: Insert the finished fabric piece into the hoop and adjust the tightness. Trim the fabric around the hoop leaving enough to fold over the edge. Step 20: Fold over the edge of the fabric to the inside of the hoop. 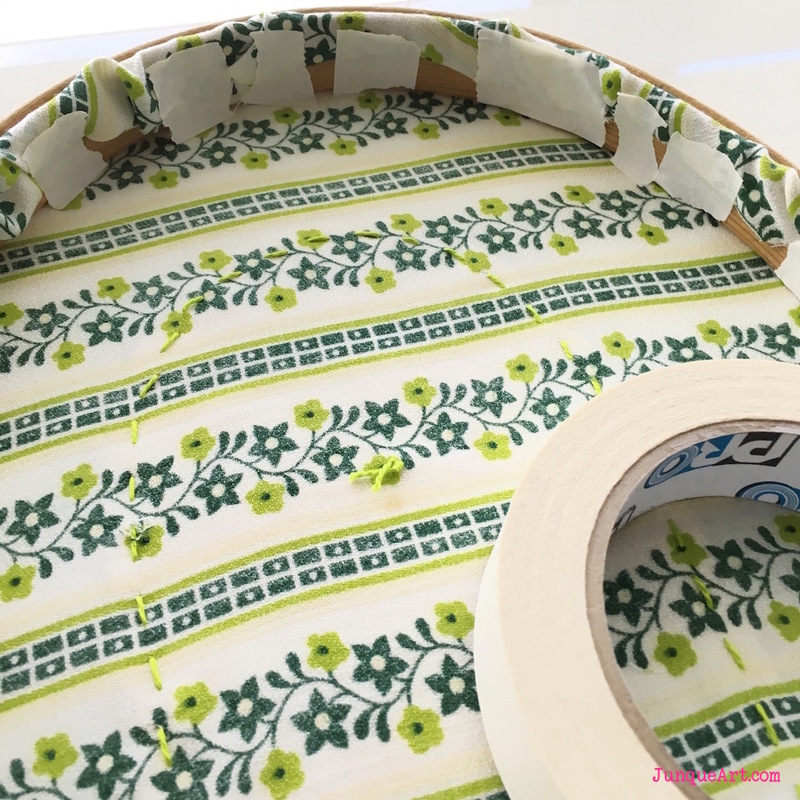 If you want to be able to switch the fabric piece out for different seasons then you can just tape the fabric edges to the hoop. Not pretty but it works and it won't show. 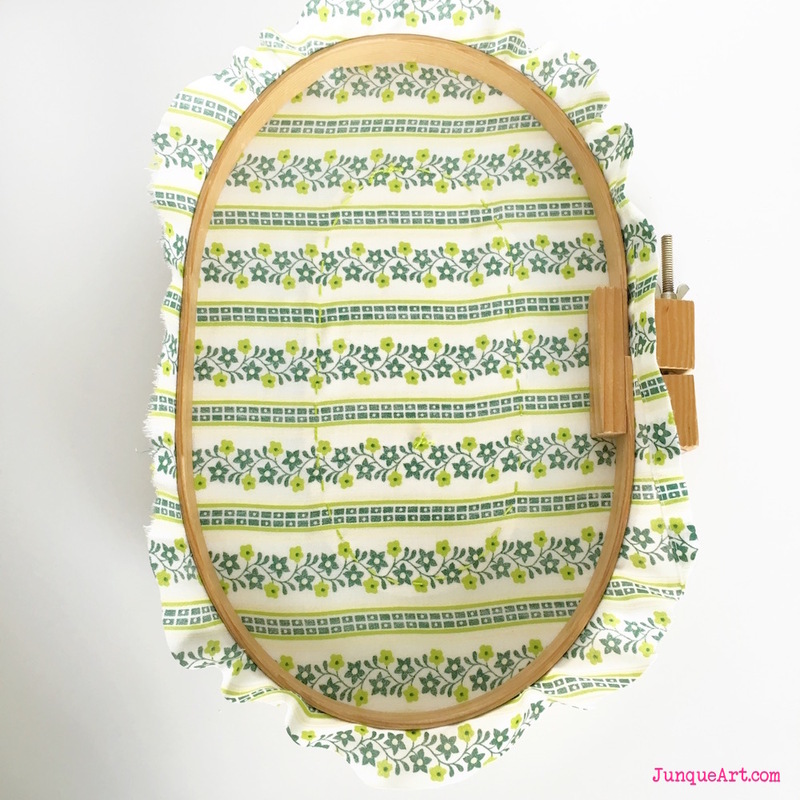 If you want the fabric to be a permanent piece in the hoop you can use craft glue to adhere the fabric to the hoop. And now you are all done and ready to hang it up for Holidays. Thanks so much for stopping by on the hop! I hope you enjoyed this little vintage style Christmas project. Be sure and visit all the blogs in the hop for a chance to win $100! All the details are below. 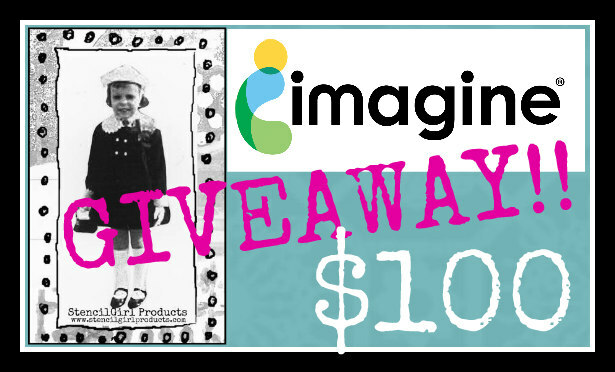 We'll be picking one lucky winner to receive $100 in Gift Certificates – a $50 Gift Certificate for StencilGirl Products and a $50 Gift Certificate for Imagine Crafts! Take your time and visit each blog showcased July 9, 16, & 23 and leave your comments. The more blogs you comment on, the more chances you have to WIN! One comment per blog please. You will have until Saturday, July 30th at 11:59PM Central Time to leave your comments. The winner will be notified by email and announced on StencilGirl's Facebook page on Sunday, July 31st. 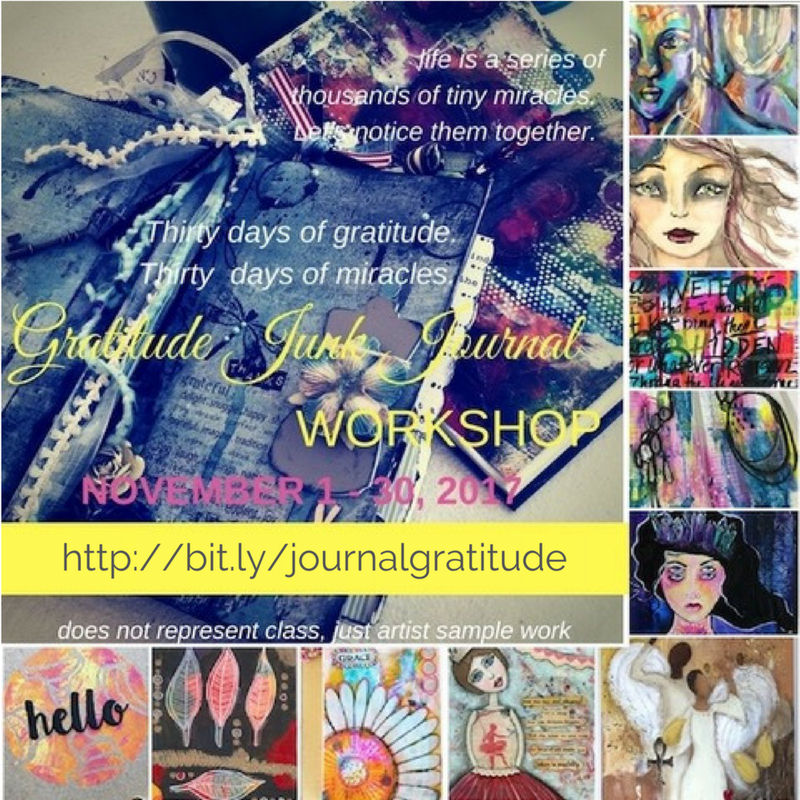 Mixed media art and art journaling workshops for the creative heart. I'm Cindy Gilstrap and I'm so glad you found your way here. I'm a mixed media artist that hopes to inspire you to create your own colorful messes! Get a FREE 8x10 downloadable digital art print when you subscribe to Junque Art Studio's creative updates. FEBRUARY LOVE YOUR ART JOURNAL CHALLENGE! COME PLAY ALONG! * Some links on this site are affiliate links. I only recommend products I love and use.